Press Release: October 31, 2013 By LunchBox Communications- That is over $1,000 a day for the next 25 days. By Friday, we would like to have 100 backers find their name on the online credits. "Whatever Happened to Tyrell Biggs?" is not only a great sports biopic, but a film that will shine a light on the importance of after-school programs and community engagement needed to help inner city youth succeed. Take this opportunity to become one of the first 100 backers of "Whatever Happened to Tyrell Biggs?". West Philadelphia and the Shepard Recreation Center are bursting with good stories but lack the resources to tell their own tale. Help give them a voice. Popularity is simply a numbers game and Kickstarter is an all or nothing proposition. If we do not meet our goal, we can not keep any of the funds raised so far. That is the way a Kickstarter Campaign works. The more backers we have, the more buzz will be created and other's will feel comfortable donating. As our friends and colleagues, we need you to act now for the campaign to succeed. Do not wait. We are asking you to donate and spread the word to your networks by forwarding this email to your friends and sharing the project on social media. Every $1 counts. Please take a moment to become a part of #TeamBiggs. Hopkins Dominates Murat, Could Floyd Mayweather Be Next? When future Hall of Famer Bernard Hopkins entered the ring on October 26th to defend his IBF World Light-Heavyweight championship at the Boardwalk Hall in Atlantic City, New Jersey against mandatory challenger Karo Murat, the question was not so much about whether or not the 48-year-old Hopkins would be able to defy father time one more time. Instead, the question that many asked entering this fight was whether or not Murat belonged in the ring with Hopkins. Although Karo Murat did have a credible record of 25-1-1, with 15 knockouts entering the fight with Hopkins as well as being a former European champion in the Super-Middleweight division, he entered this fight as the great unknown to most observers due to his never fighting previously before in the United States. When a fighter who is not particularly well known despite an impressive record, as an observer you really do not know what to expect. Some will remember Bernard Hopkins’ Middleweight championship defense in March of 2003 against then mandatory challenger Morrade Hakkar of France. Much like Murat, Hakkar entered his fight with Hopkins with an impressive record having won thirty-one out of thirty-four professional fights prior to facing Hopkins. Much like Murat, Hakkar despite having that record was not particularly known to most observers and had not previously fought in the United States. What resulted however, on March 29, 2003, sparked some criticism when the two met at the Philadelphia Spectrum. Hakkar spent most of the fight unwilling to engage Hopkins, offering no resistance and doing virtually anything he could to avoid contact. Although Hopkins was able to score a knockdown of Hakkar in round six, the fight did very little for a man in Hopkins who was still seeking long overdue respect. The bout which most observers considered an embarrassment not only for the sport, but also for Hopkins ended when Hakkar’s corner stopped the fight following the eighth round. Following the fight, some criticized Hakkar’s ranking as a mandatory challenger at the time based on his performance or lack thereof. In the decade since that fight, Hakkar although still active as a fighter as of 2012 has not been seen on a major stage in the sport since. Unlike Hakkar however, Murat would have more to offer in his challenge of Bernard Hopkins. In previewing this fight last week I stated that the key to the fight in my eyes was whether or not Murat could force Hopkins to fight at a high pace and whether or not he could maintain that pace for the entire fight. It was not surprising to see this fight begin at a measured pace, which favored Hopkins. Murat however, did establish that he was there to fight by consistently coming forward and looking to land punches. Murat was able to control the tempo of the fight in the first two rounds simply based on effective aggression in that he brought the fight to Hopkins. Despite Murat’s aggression Hopkins was able to make the challenger miss often and land counter punches. Murat was able to connect with a lead left hook early in the third round that seemed to have landed flush on the jaw of the champion. Hopkins however, would respond by shaking his head and sticking his tongue out at Murat. As I have said many times over the years Bernard Hopkins is a master of the craft that is Boxing and knows virtually every trick in the book to get under the skin of his opponents. The master tactician gradually began to implement his fight plan. Although it was clear early in the fight that Murat was the more active of the two fighters, Hopkins was frustrating the challenger by using great defense to evade and slip the majority of Murat’s offense. Along with solid defense Hopkins is also able to dictate the fight on the inside, which increasingly frustrated Murat. Hopkins however, was also able to show in this fight that as a forty-eight year old he could step up his pace and fight at a higher pace than most would expect, being willing and able to engage and exchange with Murat. As the fight progressed Hopkins was able to slow Murat’s pace and start to take over the fight. Murat did not seem to have an answer to nullify Hopkins’ ability to slip and evade punches. The challenger’s frustrations boiled over in round six when he threw Hopkins to the canvas and threw two punches on a downed Hopkins. Some may be tempted to make what many will feel would be a justifiable argument that Murat perhaps should have been disqualified immediately after throwing those punches as throwing punches on a downed opponent normally constitutes automatic disqualification. Murat however, was allowed to continue by Referee Steve Smoger. Smoger did issue a stern warning to the challenger that he would deduct a point from him if he attempted to throw Hopkins down again. Although some may criticize Referee Steve Smoger for not disqualifying Murat, it should be noted that Smoger has been considered one of the best referees in the sport for many years and although he would have been fully within his rights in disqualifying Murat, Smoger has always been a referee that will let fighters fight and not intervene unless absolutely necessary. It should also be noted that even though Hopkins was down on the canvas he was able to block the punches Murat had thrown. This observer believes that had Hopkins been hit cleanly while on the canvas Smoger would have stopped the fight immediately and disqualified Murat. In this instance Smoger gave the challenger the benefit of the doubt by allowing the fight to continue. It was really a case of a referee’s discretion. Smoger however, would deduct a point from Murat in round seven for hitting on the break and issued a strong warning to the challenger that he was on the verge of being disqualified. Although some may disagree with Smoger’s decision to allow the fight to continue after round six, he deserves much credit for understanding that this fight was physical and at times ugly and for being willing to give both fighters the benefit of the doubt without interjecting himself too much into the contest. Despite the fight gradually becoming lopsided in Hopkins’ favor, it was also a fight that although rough and ugly at times was also quite entertaining to watch. It was amazing that Bernard Hopkins was able to gradually out work and out land a fighter eighteen years his junior. Hopkins’ confidence in this fight was demonstrated in the eighth round when he turned his back and walked across the ring after Murat had been pushed through the ropes and began to talk to the challenger’s corner. This seemed somewhat reminiscent of the 1992 fight between former Heavyweight champions Larry Holmes and Ray Mercer. Holmes, who was widely viewed as the underdog heading into the fight, dominated the fight to the degree where his confidence was such that he began to talk to the television cameras filming the fight. Although Hopkins did not directly duplicate Holmes, his confidence level, dominance and willingness to talk to his opponent’s corner during the fight did bring back memories of that fight in February of 1992 for this observer. One similarity that both Hopkins and Holmes share however, is both are graduates of the master class of Boxing. On this night Bernard Hopkins displayed a little bit of everything. Great defense, ring savvy, the ability to take a punch when he needed to, and the willingness to trade punches. As has become the custom, Bernard Hopkins earned yet another decisive decision victory over a man much younger than himself. Despite being tactically outgunned, Karo Murat deserves a lot credit in that he came to fight and was very “Game” and never stopped trying to turn the momentum in his favor. In a scenario where he had nothing to lose, and everything to gain Murat proved that he was a deserving opponent. Although this performance was in a losing effort, it is not out of the realm of possibility that Murat could see further opportunities against the elite of the Light-Heavyweight division down the line. He may have lost the fight, but Karo Murat certainly has nothing to be ashamed of. As for Bernard Hopkins, it is really hard to say what is next for him. On one hand logic would suggest that Hopkins would seek a unification fight with one of the other champions of the division specifically either WBC champion Adonis Stevenson or WBO champion Sergey Kovalev. A possibility exists however, that Hopkins may fight Floyd Mayweather in May of next year possibly at the Middleweight limit of 160lbs. Although a potential duel between two masters of the craft of Boxing in Hopkins and Mayweather is certainly intriguing, this observer does not believe that Hopkins going back down in weight to the Middleweight division would necessarily be beneficial. Two examples of historical precedent that would suggest that it might not be a good idea for Hopkins are when Sugar Ray Leonard attempted to drop down in weight from the Super-Middleweight division of 168lbs. back down to the Jr. Middleweight division of 154lbs. to challenge then WBC champion Terry Norris in 1991. Leonard had not fought in the Jr. Middleweight division since 1984 when he defeated Jr. Middleweight contender Kevin Howard. In his fight with Norris, Leonard displayed all of the signs of a fighter who’s best days were behind him. Whether or not the drop down in weight had anything to do with how easily Norris was able to dominate that fight and dish out a terrible beating to Leonard is a subject of much debate. 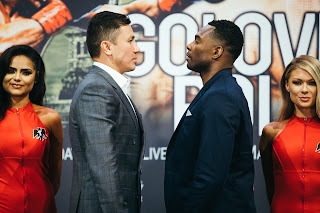 This observer believes that Leonard made the wrong move by opting to drop down in weight rather than continue to compete in the Super-Middleweight division where he was the WBC world champion in that weight class. A more recent example is Roy Jones, a man who many will consider one of Hopkins rivals throughout his career. Many will remember Jones’ historic performance in March of 2003 when he then as the unified Light-Heavyweight world champion moved up in weight to challenge John Ruiz for the WBA Heavyweight championship. Jones dominated that fight and in the process became the first former Middleweight champion to move up in weight and capture a World Heavyweight championship since Bob Fitzsimmons who defeated James J. Corbett for the Heavyweight title in 1897. Many including this observer believed that Jones would have been justified to retire after that fight after dominating multiple weight classes for his entire career. An argument should be made that Jones could not have achieved a higher feat after defeating Ruiz. Some believed that Jones were to continue fighting it would certainly be in the Heavyweight division. Jones however, would opt to go back down in weight to the Light-Heavyweight division to continue to defend his unified championship. Although Jones would successfully defend his title in his first fight with Antonio Tarver later that year, it was clear that the drop in weight had affected him. Tarver’s second round knockout of Jones in the rematch in 2004 set off a steady decline for a man considered to be one of the best pound for pound fighters not just of his era, but in the history the sport. Jones was not and has not been anywhere near the fighter he was when he defeated John Ruiz since dropping back down in weight. Whether or not Bernard Hopkins would consider such examples in any decision making process as to whether or not he would drop down in weight to fight Mayweather, a fighter who has never fought above 154lbs. is a question that only he can answer. Hopkins however, has always been a fighter who has defied odds and defied logic. No matter what’s next for Hopkins it will certainly generate significant interest and could excite the Boxing world. That is $1,000 a day for the next 30 days. By the end of this weekend, we would like to have 100 backers find their name on the online credits. We are asking you to donate and spread the word to your networks by forwarding this email to your friends and sharing the project on social media. Every $1counts. October 22, 2013 By LunchBox Communications- Philadelphia fighter Gabriel Rosado wants to see this documentary! To help us meet our goal on Kickstarter, Gabby graciously donated two sets of all access tickets to his sold out title fight against the undefeated Peter Quillin in Atlantic City on October 26th. You'll also be ringside for the anticipated Hopkins vs. Murat match. To bring "Whatever Happened to Tyrell Biggs?" to the screen we need your generous support as a backer. Kickstarter is an all or nothing crowdfunding platform. Even $1 means everything. Please take advantage of many great rewards to bring #TeamBiggs closer to reaching the goal of completing this important film. Help bring this important film to fruition. It will only take a few minutes of your time... But your effort will live on forever. Donate now to the Kickstarter campaign. The WBO World Welterweight championship fight between undefeated two-division world champion Timothy Bradley and future Hall of Famer Juan Manuel Marquez was a bout that had a couple of interesting subplots. Despite being undefeated in thirty professional fights heading into his fight with Marquez, Bradley was considered by some to be an underdog. The basis of the opinion seemed to be greatly based on Bradley’s controversial decision victory over Manny Pacquiao last year. Although many, this observer included felt that Manny Pacquiao was the victim of injustice in that fight, what was overshadowed by most casual observers in particular is that although it appeared that Timothy Bradley was bested on that night, Bradley was still a world-class boxer who had won a world title and briefly unified it in the 140lb. Jr. Welterweight division. For one to believe that Bradley was somehow not a skilled boxer based on the controversial outcome of his fight with Pacquiao would be quite frankly foolish. In previewing the Bradley-Marquez fight, I commented on not only the damage that the sport of Boxing suffers in the wake of a controversial decision like the one that was rendered in the Pacquiao-Bradley fight, but also the damage that a fighter suffers as a result of the controversy. Not only did Timothy Bradley suffer more damage to his career, then he would have suffered had he lost that fight, but the controversy and the subsequent fight with Ruslan Provodnikov, a grueling back and forth fight, one might argue somehow prompted some to question just how skilled Timothy Bradley is as a boxer. When Bradley and Juan Manuel Marquez stepped into the ring at the Thomas & Mack Center in Las Vegas on October 12th, it was not surprising to see this fight produce a little of everything. A fight that was a tactical chess match, with periods of excitement with both fighters having their moments throughout the contest. The bout was extremely close and difficult to score round by round. This was due to both fighters landing nearly the same amount of punches throughout most of the rounds. Bradley however, was the more active fighter and simply threw more punches than Marquez and was able to gain a slight edge in total punches landed at the end of the fight landing 168 of 562 punches thrown to Marquez’153 of 455 according to CompuBox. In some ways this fight reminded me of Marquez’ third fight against Manny Pacquiao in November 2011. Much like his fight with Bradley, Marquez and Pacquiao seemed to match each other punch for punch throughout most of the fight. Much like this fight, there were no knockdowns and very little to distinct one fighter from the other. The commonality however, between the two fights is that much like Bradley; Pacquiao was the more active of the two fighters. It was not surprising that much like three of Marquez’ four bouts of Pacquiao, there would be a healthy difference of opinion as to who won the Bradley-Marquez fight. In the eyes of this observer, Timothy Bradley was able to win five out of the first six rounds based on his ability to get off first due to his hand speed, being solid defensively, and simply just being the effective aggressor. Marquez however, made up ground in my view during the second half of the contest by seeming to land the heavier punches. Much like two out of the first three encounters between Pacquiao and Marquez, I scored this fight unofficially a draw 114-114. Although I felt this fight was a draw, it did not surprise me to not only see a healthy difference of opinion as to who won this fight, but also a diverse difference in the scoring among fans and experts alike. There were some who felt that Bradley’s aggression was enough to win most rounds. Based on this, it was not surprising to see scores ranging from 116-112, or eight rounds to four, or 117-111 nine rounds to three. As I have often said over the years when it comes to close fights where there are no knockdowns and neither fighter seems to stand clearly out from the other, it will often boil down to what a judge prefers in their own individual criteria as to what they look for when scoring a fight based on clean punching, effective aggressiveness, ring generalship, and defense with a strong emphasis on clean effective punching. This was one of those fights where one could argue several different scenarios for either fighter to win the fight. On that night however, it was Timothy Bradley who would earn a hard-fought split decision victory to successfully defend his WBO World Welterweight championship. Last week, I stated that along with my hope that the sport would be spared from any controversy that the pledge of more scrutiny of officials by the Nevada State Athletic Commission that if this fight went the distance that we would get an adequately scored and just decision. As a writer and columnist it has become my custom in the wake of controversy involving scoring which more often than not results in black eyes and negative opinions about the sport of Boxing, to almost expect the worst when it appears that steps are being taken that might prevent such controversy going forward. In all truth and honesty I was prepared to voice outrage and anger toward the judges of this fight, Robert Hoyle, Patricia Morse Jarman, and Glenn Feldman had circumstances emerged from this fight making it appropriate to do so. In all truth and honesty, Judges Hoyle, Jarman, and Feldman delivered as adequate and just a decision as one could really ask for. Although it is all too easy sometimes to criticize judges, I do also believe that judges should be commended and given credit when it is due. This was certainly not the easiest fight to judge and could easily be viewed several different ways. The judges in this fight however, should be given credit for giving Boxing, it’s fans, and the fighters themselves a just decision. Whether this will lead to more positive change in the long-term future of the sport remains to be seen. The obvious question coming out of this fight is what is next for both Bradley and Marquez? Last week, I stated that this fight could be an unofficial start of a round robin tournament of sorts, involving Bradley, Marquez, Mike Alvarado, Ruslan Provodnikov, Manny Pacquiao, and Brandon Rios. Although suffering the seventh loss of his career, Juan Manuel Marquez was not in any way disgraced in the fight with Bradley. Marquez is still a future Hall of Famer, a legitimate legend of the sport, and the loss does not seem as though it would hurt him in terms of marquee value or the ability to garner big money fights. There is an obvious possibility if such a concept of a round robin involving those fighters does in fact come to fruition that Marquez could easily have a rematch with Bradley, a potential fifth fight with Pacquiao, or could conceivably challenge Alvarado, Provodnikov, or Rios. All of which would garner significant financial incentives for all involved. Juan Manuel Marquez is certainly not finished as a fighter. As for Timothy Bradley, he did all of what you can really ask of a fighter. He put forth a great effort, proved to any naysayers that he can hold his own against a highly skilled elite fighter in Marquez, and earned a victory. It was obvious following the fight that some were going to bring up the potential possibility of Bradley challenging WBC champion Floyd Mayweather. Although with wins over Pacquiao and now Marquez under his belt, it would appear to this observer that a primary obstacle preventing a potential fight between Bradley and Mayweather from happening would be the current business landscape of the sport. It would be interesting to see if Bob Arum, Bradley’s promoter would be willing to work with Golden Boy Promotions who has co-promoted many of Floyd Mayweather’s recent fights to make that fight a reality. One must not also forget that in addition to rival promoters, there are also rival networks HBO and Showtime who are competing with each other to put on the best fights possible. Would the networks be willing to work together to make that fight happen? At least in terms of the immediate future, it appears more likely in this observer’s eyes to see Bradley take part in this unofficial round robin concept. It would seem logical to see Bradley possibly pursue a rematch with Manny Pacquiao, should Pacquiao be successful against Brandon Rios in November. Most would argue based on the controversy that emerged from their fight last year that a rematch is warranted. Rematches however, between Bradley and fighters like Ruslan Provodnikov and Marquez should also be considered. Timothy Bradley has always represented himself and the sport of Boxing with the utmost class and professionalism. I fail to see why a fighter would want to be portrayed as a “Bad guy” when in reality, he was not to blame and should have not have been blamed for the circumstances of the controversy in his fight with Manny Pacquiao.